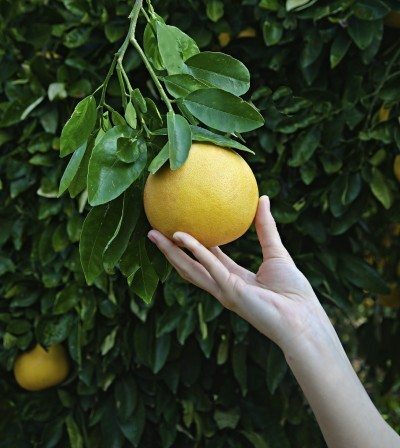 If you live in USDA plant hardiness zones 9b-11, any tropical to subtropical region, you may very well be lucky enough to have a grapefruit tree. Grapefruit, either white or red, starts out green and gradually changes hues, which is somewhat an indicator of when grapefruits are ready to pick. However, other factors should be considered when trying to decide when to pick a grapefruit. So, how to tell if a grapefruit is ripe and ready for harvest? Read on to learn more. Grapefruit most probably originated as a natural hybridization between the orange and the pummelo (pomelo) or Citrus maximus. It was first described in 1750 in Barbados and the first record of the word “grapefruit” used in Jamaica in 1814. It was introduced into the United States in 1823 and is now a major commercial export of the state of Texas, which has designated the red grapefruit as its state fruit. As heat lovers, grapefruit is cold sensitive. 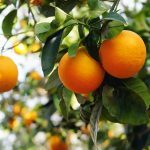 Therefore, temperature fluxes affect grapefruit harvest time. 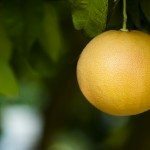 Grapefruit harvest time may take place in seven to eight months in one area and up to 13 months in another area due to temperature differences. Grapefruit is sweeter in regions of hot days and warm to hot nights and more acidic in cooler areas. Generally speaking however, late autumn is when grapefruits are ready to pick. Mature fruit may be left on the tree and, in fact, will sweeten throughout the winter. This method enables you to “store” the fruit for a longer period of time than if you picked it all at once. The downside is that storing on the tree reduces the yield the succeeding year. So, late fall into the winter or early spring is when to harvest grapefruit. We know when to pick grapefruit, but not all of the fruit will be ripe at exactly the same moment. This is where color is another indicator of ripeness. Grapefruit should be harvested when at least half of the peel has started to turn yellow or pink. Mature grapefruit may still be green in color, but a better bet is to wait until the fruit turns hue. Remember, the longer the fruit stays on the tree, the sweeter it becomes; so be patient. Lastly, the absolute best way to know when to pick grapefruit is to taste one, you’ve been dying to anyway! 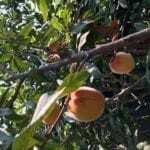 When ready to pick, simply grasp the ripe fruit in your hand and gently give it a twist until the stem detaches from the tree.